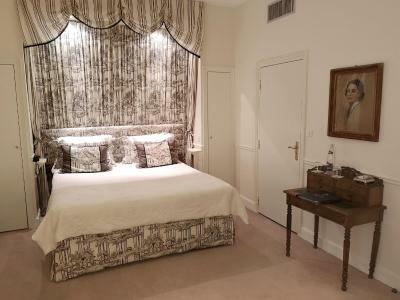 Lock in a great price for Chateau De Rilly - Les Collectionneurs – rated 9.1 by recent guests! 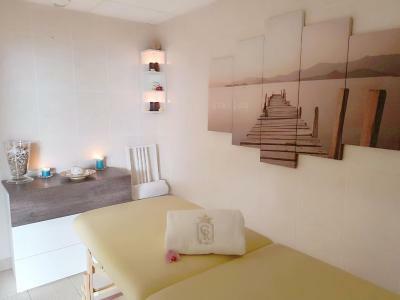 The staff were friendly and helpful, they gave excellent service. Comfortable room. Very pleasant dining room. Breakfast buffet was pricey, but totally worth it! The property is gorgeous, and the staff went above & beyond. We loved our terrace room! It’s absolutely worth it. Glad there is a train station a ten-minute walk from the chateau. Dinner was lovely for a romantic treat. Not the sort of food I could eat often. 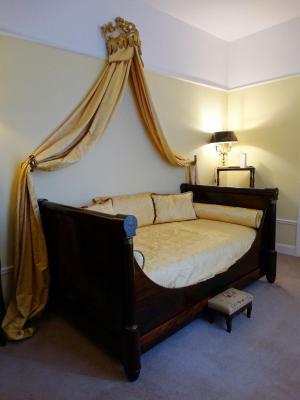 The staff was delightful, and the setting is beautiful with the large terrace and gardens. Breakfast was excellent...enjoyed being able to eat outside. We loved the property, amazingly beautiful and luxurious. Lovely surrounding. 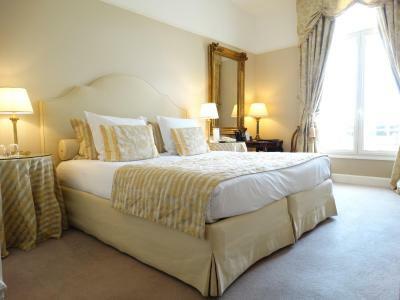 Comfy beds, beautiful and big rooms. The breakfast was very good, as in the quality of the food, presentation, etc. It was so stunning! I mean, I can’t even believe how beautiful! The staff were absolutely amazing. Really so lovely! The town is small but Reims is really close and is also an amazing city. There were lots of places to try champagne and walk around. Great for a relaxing weekend. 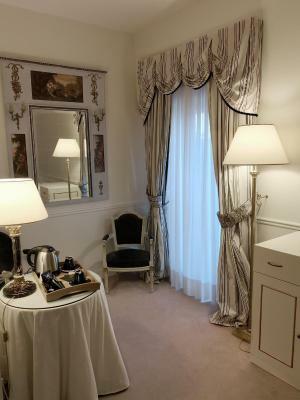 If you want a little more of a town, stay in Reims. It’s really beautiful. The front desk staff, bartender and evening dining staff were wonderful. 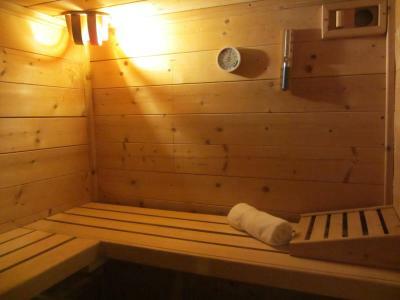 The jacuzzi and sauna were also great. The room decor and bathroom were very nice. Absolutely beautiful hotel or manor. Staff was very accommodating. Room, grounds, dining room were exquisite. Restaurant was extraordinary. Would definitely recommend and stay again. A perfect spot if you want to stay in a beautiful, classic spot. It is a a sleepy, quaint town, right among the vines. 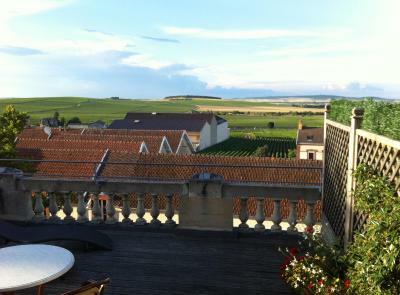 This is a great place to relax and explore the region of champagne. Excellent restaurant on property. 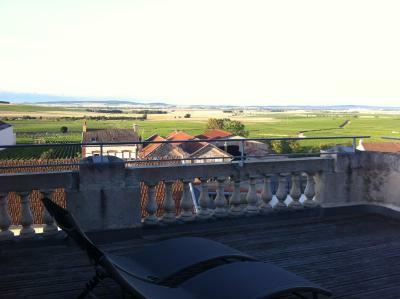 Right in the middle of the champagne region close to both Reims and Epernay. 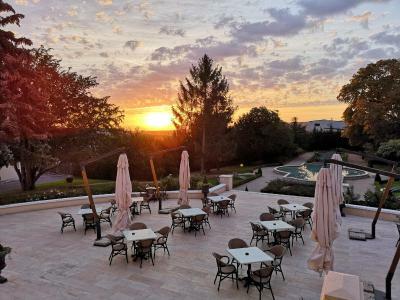 This hotel is set in a garden in the heart of the vineyards of Champagne. 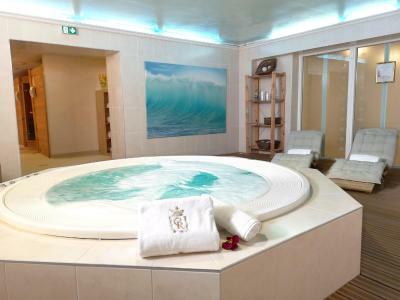 It has a sauna and a spa bath and is 2,150 feet from Rilly-la-Montagne SNCF Train Station on the Epernay-Reims line. 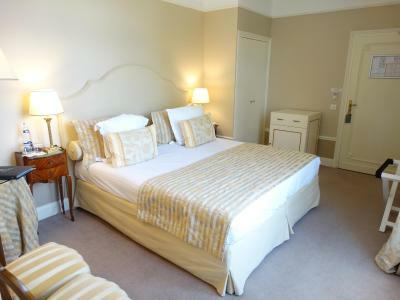 The Chateau de Rilly has individually decorated rooms with traditional furniture. All rooms have free Wi-Fi, an private bathroom with shower and bathtub and some have a terrace with views of the vineyards. The restaurant, open from Tuesday for dinner time until Sunday, lunchtime provides seasonal meals, served on the terrace with a garden view in summer. Continental and full English breakfasts are available and guests can sample a wide choice of champagnes and wines at the bar. The restaurant provides seasonal meals, served on the terrace with a garden view in summer. 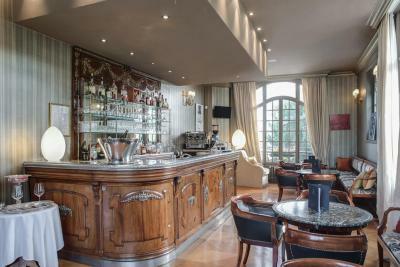 Free Wi-Fi is available in the lobby, in the restaurant and at the bar. This hotel is 6.8 mi from Reims city center. It is located in the Reims Mountain Regional Natural Park (Parc Naturel Régional de la Montagne de Reims). 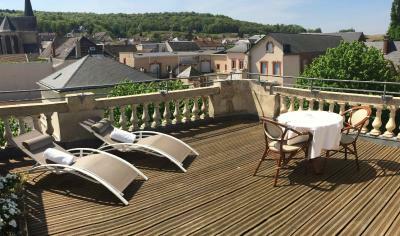 When would you like to stay at Chateau De Rilly - Les Collectionneurs? The room includes a flat-screen TV and private bathroom with free toiletries, a shower and bathtub. 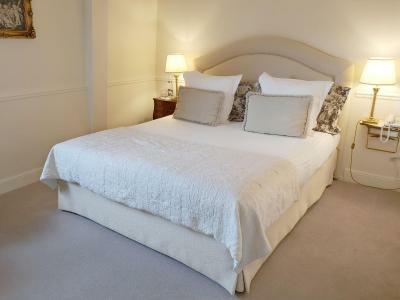 This room has a terrace and includes a flat-screen TV and private bathroom with free toiletries, a shower and bathtub. 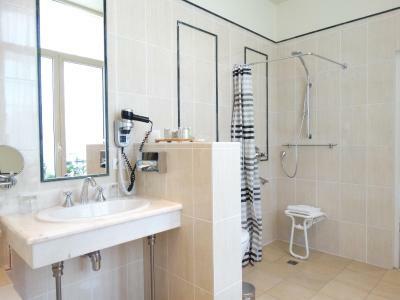 This room includes a flat-screen TV and private bathroom with free toiletries, a shower and bathtub. House Rules Chateau De Rilly - Les Collectionneurs takes special requests – add in the next step! Chateau De Rilly - Les Collectionneurs accepts these cards and reserves the right to temporarily hold an amount prior to arrival. Please note that the restaurant is always closed on Monday and Tuesday. Please note that the restaurant is closed from Sunday until Tuesday evening included from 1 November until 31 March. When booking for 10 people or more, different policies will apply. A prepayment of 30% of the total amount will be required after confirmation of your booking. When the amount of the Booking is greater than EUR 1000, different policies will apply. A prepayment of 30% of the total amount will be required after confirmation of your booking. The location. Helpfulness of the staff. I enjoyed breakfast and the dinner. The young chef is creative and his creations are tasty. They accomodated us for dinner, we had not reserved a table - we were a little late arriving but they made us welcome. Very few electrical points in our room 202 and the positioning of the existing sockets meant plugging in chargers phones etc wasn’t easy. Lovely breakfast and superb evening meal. Very friendly staff. Bar area was a little cramped. 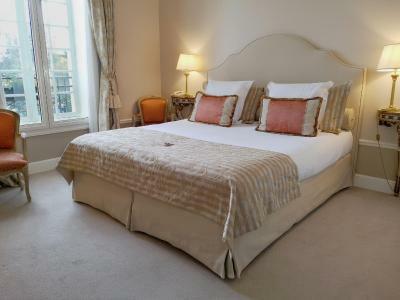 Very attractive chateau in beautiful area, the staff were excellent. A very elegant property. TEA FACILITIES IN THE ROOM - I NEED AN EARLY MORNING CUP OF TEA!!! It is farther from the city of Reims than anticipated.